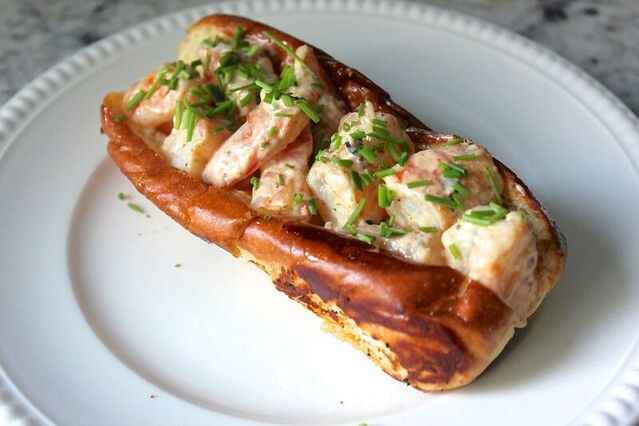 In the past few years, lobster rolls have exploded all over DC (not literally). 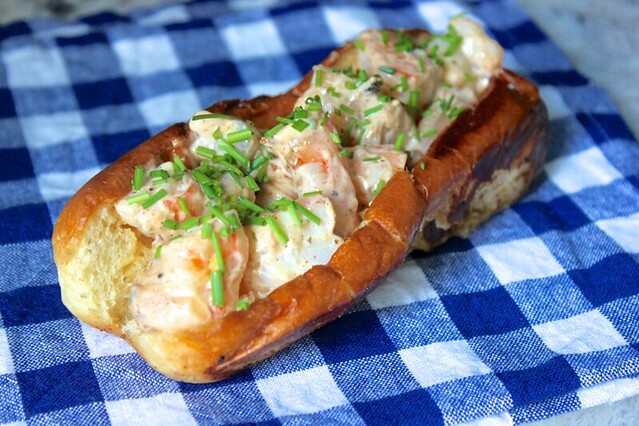 There are lobster roll trucks and multiple stand-alone stores, and all of them are delicious. The same seems to be true for Philadelphia. But because lobster rolls are expensive, they remain a rare indulgence. Not so with shrimp rolls! I first made them as part of a Blue Apron delivery- a service I love, but that’s a discussion for another day- and they have quickly become a go-to meal I can make with ingredients from my freezer. This version using berbere, an Ethiopian spice blend, is a twist on the original made using Old Bay. 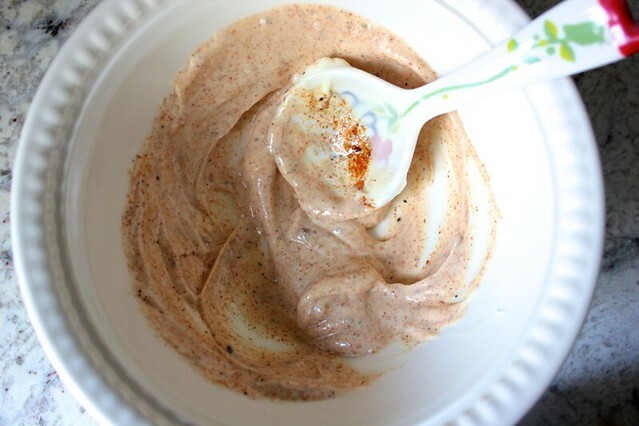 Start by making the flavorful mayo. These quantities make enough dressing for 2-3 shrimp rolls. If you’re making more, feel free to scale it up! 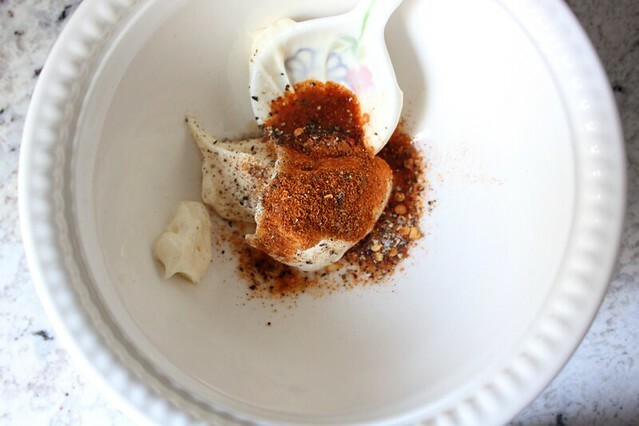 To a small bowl, add 2 tablespoons of mayonnaise, 1/2 teaspoon of berbere spice (or Old Bay), 2 teaspoons of lemon juice, and a small pinch of black pepper. Stir the ingredients together until they are completely combined, and give the mixture a taste. Honestly, the mixture alone does not taste very good to me (I think it’s the mayo), but it’s delicious when the shrimp are added later. You’re just tasting for seasoning this time- the sauce should be balanced with spice from the berbere blend and tang from the lemon. Adjust the proportions of either. You may note that we didn’t season the mixture with salt yet. I find shrimp to be salty enough on their own sometimes, so we’ll add salt later, if needed. For two shrimp rolls, cook 8 ounces of shrimp in a pan with a small amount of oil, flipping once until they are pink and just opaque. I normally like cooking with jumbo shrimp, but the effect gets a little lost in this recipe, because they need to be cut up. If you’d rather serve whole shrimp, use smaller ones. 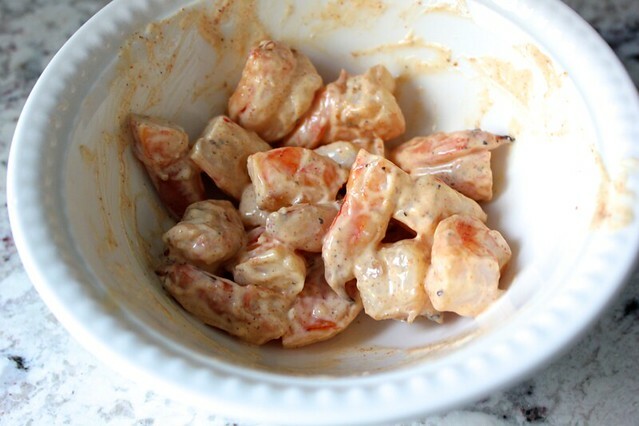 Cut the shrimp into bite-size pieces if necessary, and if you like some added crunch, finely dice about 2 tablespoons of celery. Add a small scoop of the mayo mixture to the shrimp and optional celery at a time, and stir it together to coat. I like my shrimp rolls to be relatively light on the mayo, but continue adding more in small increments until yours get to how you like it. Then, taste one piece of shrimp, and add salt to the mixture if necessary. 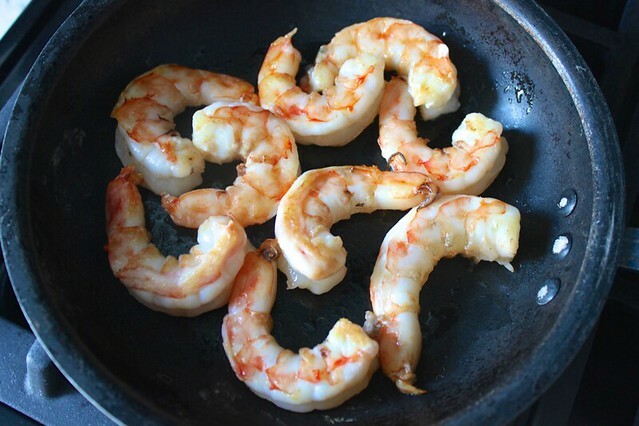 In the same pan that you used to cook the shrimp, melt 1 tablespoon of butter for every 2 shrimp rolls you’ll make. 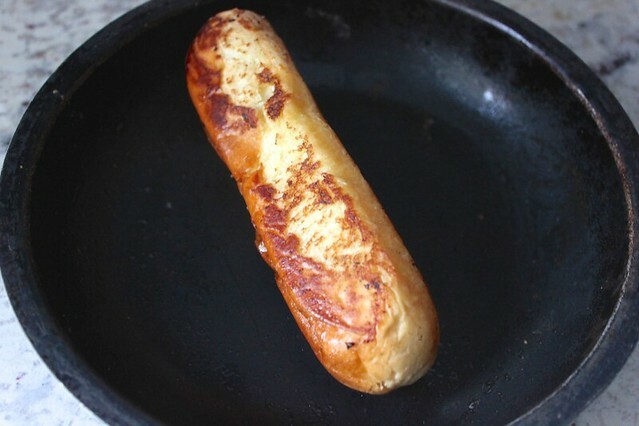 Get some split-top hot dog buns, and roll them in the melted butter so that it is mostly absorbed. Over medium-high heat, toast the buns on all four sides until they are golden brown. The toasting process goes very quickly, so keep an eye on the buns and don’t let them burn. When the buns are cool enough to handle, split them open and stuff them with the shrimp mixture. Top them with minced chives, and eat them up while they’re warm. This recipe works equally well with lobster meat, if you’re lucky enough to have any. Enjoy your few last bites of summer! What is Berbere sauce and where can that be purchased? 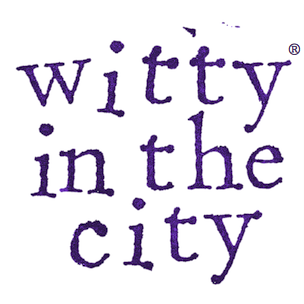 It is a spice blend available at specialty spice stores or online.